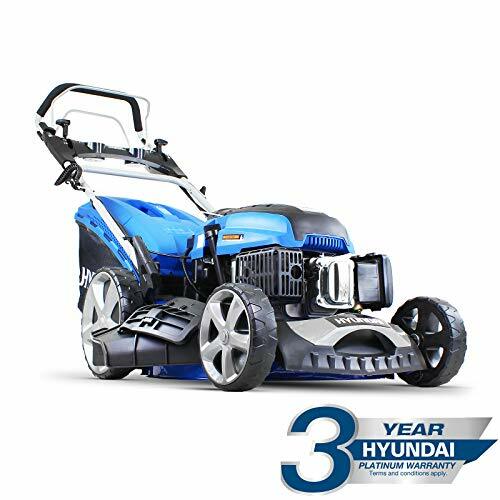 Reliable and well reputed Korean company Hyundai have come out with this top of the range electrical starting lawn mower. One of a range of Hyundai lawn mowers, the HYM510SPE features the convenience of self-propulsion, and also has an eye-catching design to complement its great internal features. It has a 3 speed gear box and a 6hp four stroke engine which provides it with plenty of power and easy transitions for user friendly operation. This lawn mower is able to move under its own power when you engage the wheel driving using the handlebar lever, so you are able to concentrate on steering and deciding what part of the grass to cut next. The handle bar also comes with comfortable padded hand grips and the electric key start is very easy to operate. It is also self-charging once the battery is running which is extremely convenient. You can choose from seven different grass cutting lengths with the centralized height adjuster and this machine will give you precise and even results on all lengths of grass. You have plenty of options on how the grass is disposed of as well. There is a grass collection box, side discharge, or cut and mulch options available. Although this machine has lots of power, it isn’t too difficult to maneuver and store. Weighing a manageable 39 kilograms and with foldable handles, it is easy to store in your garage or garden shed. Electrical start – so no more messing around pulling a starter cable, with one turn of the key this beast will start first time every time. Sleek blue design – may not be one for traditionalists! This is a very fashionable and aesthetically pleasing lawn mower that doesn’t lack quality and strength. It is a powerful machine so it does require some physical strength to operate it properly, although its self propulsion does take on a lot of the effort for you. 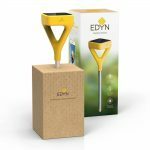 It’s ideal for medium to large sized gardens and will certainly provide you with an efficient and precise grass cutting experience. This lawn mower comes with free delivery across the UK which is an added bonus. 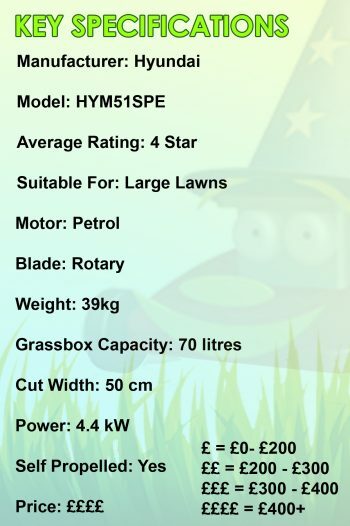 For all its features and capabilities, this is an excellent value for money for a self propelled mower, and will be a great long term investment.